Chickpea Cauliflower Stew - Kosher In The Kitch! 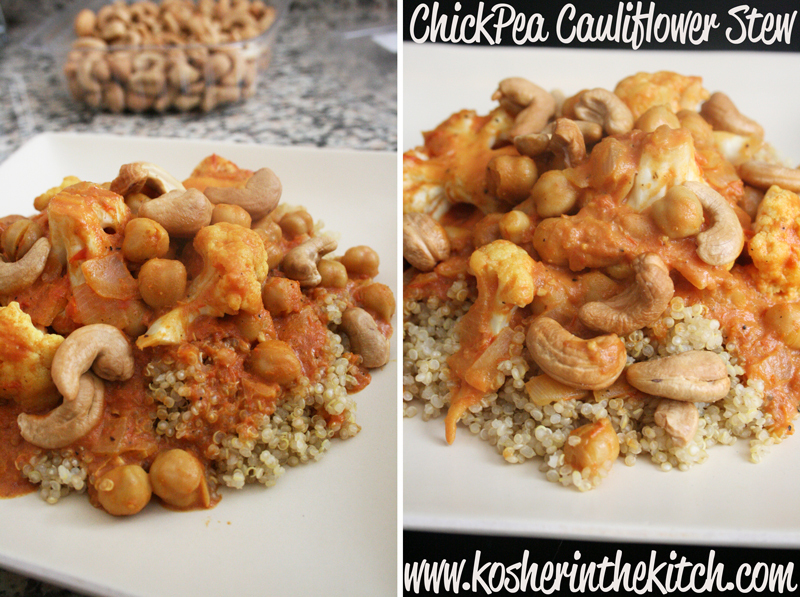 Chickpea Cauliflower Stew - Kosher In The Kitch! Who says eating vegan has to be boring? This creamy dish is full of flavor and will please even a meat lover’s belly. Serve it over quinoa with a crisp garden salad some crusty garlic bread. Combine quinoa and water in pot. Bring to boil then cover and simmer on low flame until water is absorbed. Rremove from flame and fluff with fork. While the quinoa is cooking, heat up olive oil in large pan. Add onions and garlic and saute until tender. Add cauliflower to pan and cook several minutes until slightly toasty. Add the chic peas and season with spices. Add the crushed tomatoes and coconut milk and combine well. Simmer on low flame for 10 minutes. Serve over quinoa. Add cashews before serving. Sound delicious! 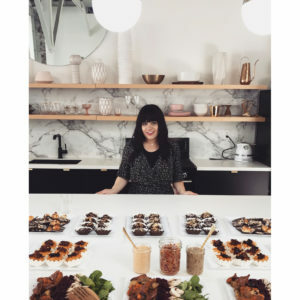 Can you recommend a sub for the coconut milk? I’m allergic to coconut. Thanks! I would suggest trying any other form of milk, such as soy, almond, or even dairy milk. You could also use chicken broth. i have a carton of coconut milk – how much is a “can” of coconut milk?